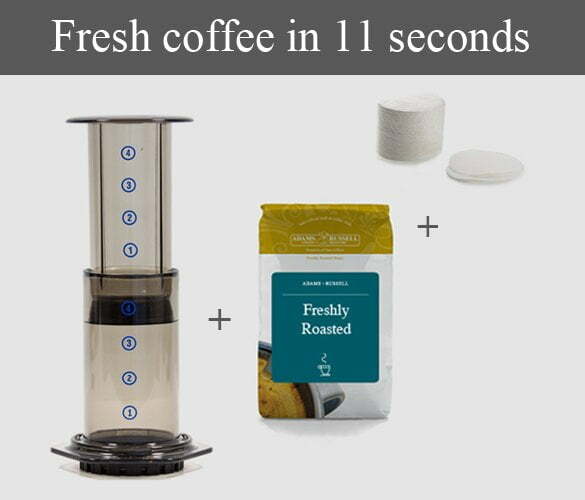 Make fresh coffee every day in just 11 seconds. Use at home, for camping, taking to work, or even straight into a travel flask when you’re on the go. You get a FREE 227g bag of single origin coffee with every Aeropress. Boil water in your kettle or in a pan and let it cool slightly for a minute or two. Place an Aeropress filter in the filter cap and attach the cap to the bottom of the Aeropress. Measure approximately 2 scoops of freshly ground coffee, or about 8g of ground coffee per 100g of water. Pour the ground coffee into the Aeropress mixing chamber. Place it directly over your mug or cup. Fill about half the chamber with hot, but not boiling, water. Use the stirrer and stir gently for about 20 seconds. Top up with more water and give it another quick stir. Use the plunger and press down firmly for about 20 seconds, until it reaches the bottom and you hear a hissing sounds. Serve the coffee black, with milk or top up the cup with a bit more hot water if you prefer it less strong. The Aeropress is ideal for producing a high quality cup of coffee at home, at work or while travelling. This gentle method of brewing makes an incredibly smooth cup with plenty of rich flavour. The combination of gentle air pressure and ideal water temperature removes the bitterness and lowers acidity levels otherwise associated with quick or instant coffee brewing methods. 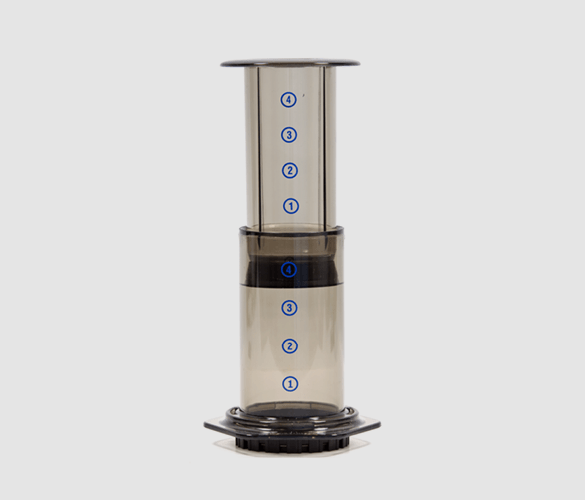 The Aeropress is today the go to home brew method for many professional baristas, coffee professionals and enthusiasts, and it’s easy to see why. Which Coffee Goes Well with Aeropress? The gentleness of the Aeropress really lets the original characteristics of the coffee to shine through. The Aeropress goes great with any of our Single Origin coffees. 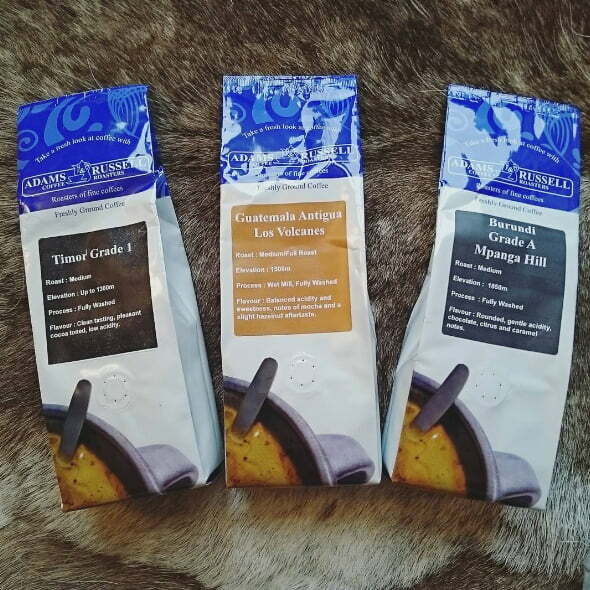 Our ground coffee is ideal for using in the Aeropress, but if you buy our beans and grind them yourself, we recommend a grind somewhere inbetween an Espresso and a Filter. A quick note to say thank you for the invitation to what proved to be a very interesting morning. The opportunity to taste some of your excellent coffee varieties was most welcome as was the opportunity to see different brewing methods. 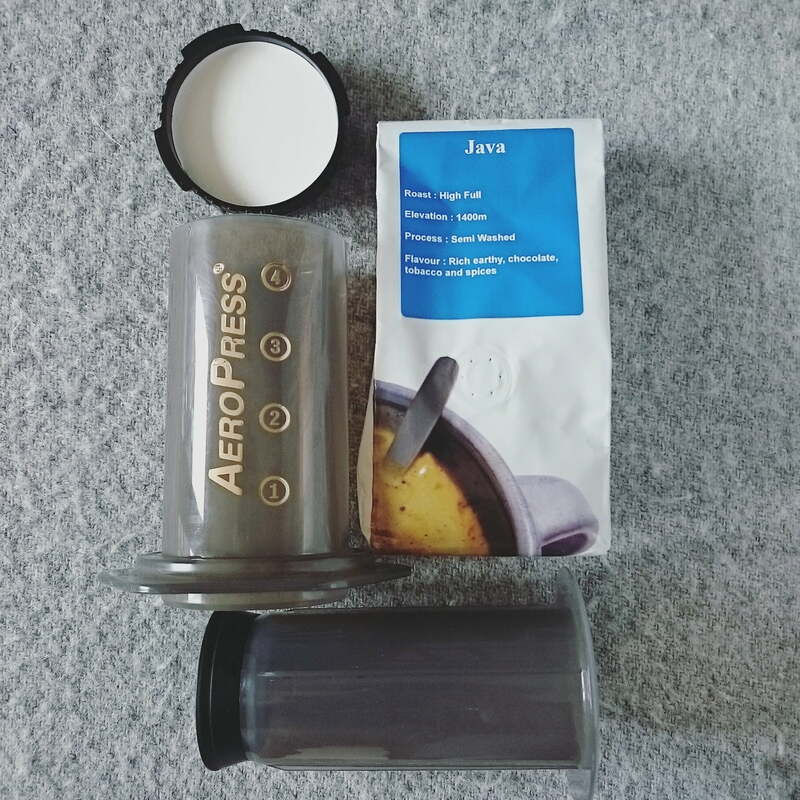 I have now had the chance to use the AeroPress a few times and I am really very pleased with the results; it is certainly an improvement over the cafetiere I normally use. I have three bags of coffee from you but will be in touch when stocks run low! Highly recommend the Continental blend and the Aeropress, a cracking piece of kit, wish I’d found it sooner, so good I purchased a second one for work and when out and about. No more naff tasting coffee for me!